Supreme Court Is Back in Session. Here’s What's on the Docket. Supreme Court Is Back in Session. Here’s What’s on the Docket. After a two-week break, the Supreme Court is set to hear oral argument in several cases during its March sitting. Among the issues the court will address are partisan gerrymandering (for a second year in a row), racial bias in jury selection, and whether courts should defer to administrative agencies in interpreting their regulations. In Rucho v. Common Cause, a district court struck down North Carolina’s congressional map that the Republican-controlled legislature had drawn in 2016 as an unconstitutional political gerrymander. Fifteen years ago, in Vieth v. Jubelirer, the Supreme Court held that challenges to partisan gerrymandering are not justiciable. Writing for the court, Justice Antonin Scalia reasoned that federal courts lacked the authority to hear disputes raising political questions that are better left to the political branches. Just last term in Gill v. Whitford, the Supreme Court once again was unpersuaded that any such standard exists and recognized that it may be impossible to take the politics out of drawing electoral district lines. The North Carolina case was already pending when the Supreme Court heard Gill, so the legislators petitioned the Supreme Court for review. The case was sent back to the district court for reconsideration in light of Gill, which had required showing a district-specific injury. Back at the district court, the three-judge panel ruled for the challengers again, basing its decision on a laundry list of theories and the creation of a “judicially manageable” three-prong test under the First Amendment. They further point out that the Framers of the Constitution committed the “politically fraught task” of drawing up district lines to state legislatures (which are directly accountable to the people) with the supervision of Congress (another accountable branch of government)—and not to federal courts. The Supreme Court will hear oral argument on March 26, along with a second partisan gerrymandering case out of Maryland, Lamone v. Benisek. With any luck, the Supreme Court will make clear whether or not partisan gerrymandering claims are, in fact, justiciable—a question the justices ducked in Gill last term. Before a criminal trial begins, the judge and lawyers will ask prospective jurors questions to determine if they should be selected for the jury. The judge will strike prospective jurors who demonstrate they would have difficulty being impartial. The lawyers from both sides may exercise “peremptory strikes” to remove prospective jurors without an explanation. In Batson v. Kentucky (1986), however, the Supreme Court ruled that peremptory strikes may not be based on race. Curtis Flowers, who is African-American, has been tried six times for the 1996 murder of four people at a furniture store where he previously worked. The Mississippi Supreme Court overturned his conviction and death sentence following several of those trials for prosecutorial misconduct. Throughout the six trials, the prosecutor, District Attorney Doug Evans, used peremptory strikes to remove the majority of African-Americans from the pool of prospective jurors. At the sixth trial, Evans allowed one black juror to be selected and struck five other black prospective jurors. Flowers was then convicted and sentenced to death. The Mississippi Supreme Court affirmed Flowers’ conviction, finding that the district attorney offered race-neutral reasons for striking five out of six black prospective jurors. At the U.S. Supreme Court, Flowers argues that his Sixth and 14th Amendment rights were violated when the prosecutor racially discriminated against five black prospective jurors. He maintains that the district attorney’s history of discrimination in jury selection should have been considered in this case. The state of Mississippi argues that each peremptory strike had a race-neutral reason, such as one prospective juror having been sued by the furniture store and another indicating that her sons were friends with the defendant. The Supreme Court will hear oral argument on March 20. However the Supreme Court rules, hopefully it will bring closure in a case that has loomed over the town of Winona, Mississippi, for 23 years. In recent years, there has been an increased focus on the constitutional problems posed by the administrative state, our “fourth” branch of government. Congress has delegated more and more of its lawmaking authority to unaccountable administrative agencies, which in turn often are insulated from direct supervision by the president. As a result, administrative agencies issue regulations that touch on nearly every aspect of Americans’ daily lives, from highways to health care, with little accountability. 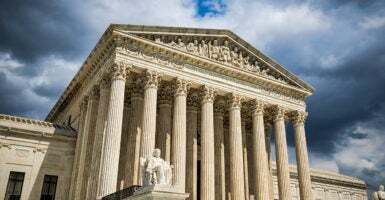 Compounding this problem, the Supreme Court has created doctrines instructing courts to defer to the reasonable interpretations of administrative agency officials in the face of ambiguous statutory text or regulations. One of these agency-deference doctrines, known as Auer/Seminole Rock deference, is directly challenged in Kisor v. Wilkie. James Kisor, a retired Marine who served in the Vietnam War and suffers from post-traumatic stress disorder, filed a claim for disability benefits with the Department of Veterans Affairs. The VA denied his claim in 1983, and in June 2006, Kisor sought to have his claim reopened, identifying documents the VA did not consider when it initially reviewed his claim. The VA granted his claim for benefits and, interpreting an agency regulation, determined that he was not eligible for those benefits to be made retroactive to 1983. Kisor appealed to the Court of Appeals for Veterans Claims, arguing that under his interpretation of the agency regulation, he was entitled to retroactive benefits. The court ruled for the agency based on its determination that while both sides offered reasonable interpretations, it was obligated to defer to the agency’s interpretation of its own regulation under the Auer/Seminole Rock doctrine. At the Supreme Court, Kisor argues that it’s time to do away with Auer/Seminole Rock deference because it violates the separation of powers and provides an unfair advantage to one party (the government) in litigation. A number of the justices—including Clarence Thomas, Samuel Alito, Neil Gorsuch, and Brett Kavanaugh—have expressed concerns about Auer/Seminole Rock deference and another doctrine called Chevron deference. Thus, the day of reckoning for Auer/Seminole Rock deference may be coming soon. The Supreme Court will hear oral argument on March 27. These are a few of the important cases the Supreme Court will hear at the end of March. Later this spring, the justices will hear oral argument in more cases, including a challenge to the Trump administration’s decision to include a citizenship question on the 2020 census and a First Amendment challenge to the U.S. Patent and Trademark Office’s denial of “scandalous” trademarks. The justices should issue opinions in all of the cases this term by the end of June. 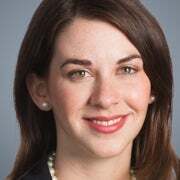 Elisabeth Daigle is a member of the Young Leaders Program at The Heritage Foundation.